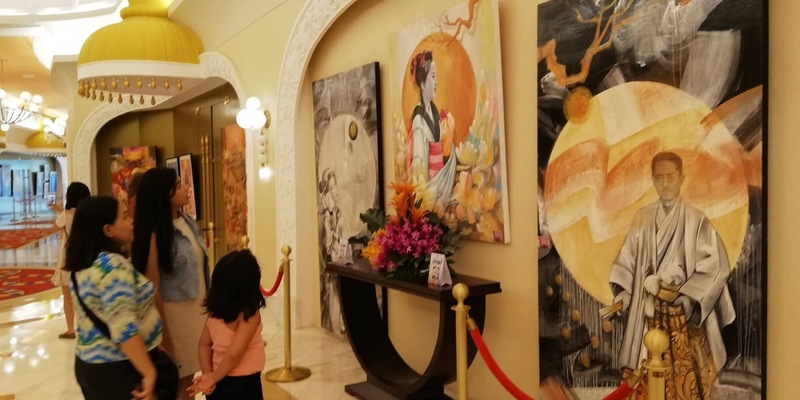 If you are a frequent visitor at Okada Manila, you will notice these painting exhibit at the Coral Wing Lobby of the casino resort complex. 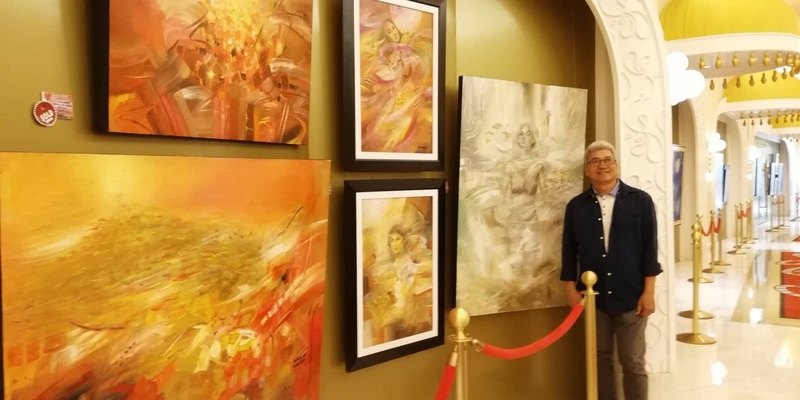 These exquisite artworks is done by Pancho Piano, a painter, a stained glass artist, abstractionist, muralist and a multi-awarded Filipino artist. The ongoing exhibit entitled "Hagod" is a chromatic explosions of Pancho Piano’s visual arts and creations. 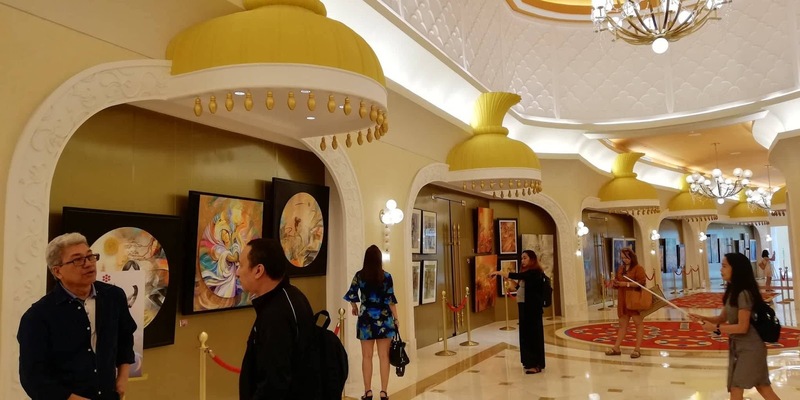 The exhibit started last May 24 and was extended up to August of 2018. 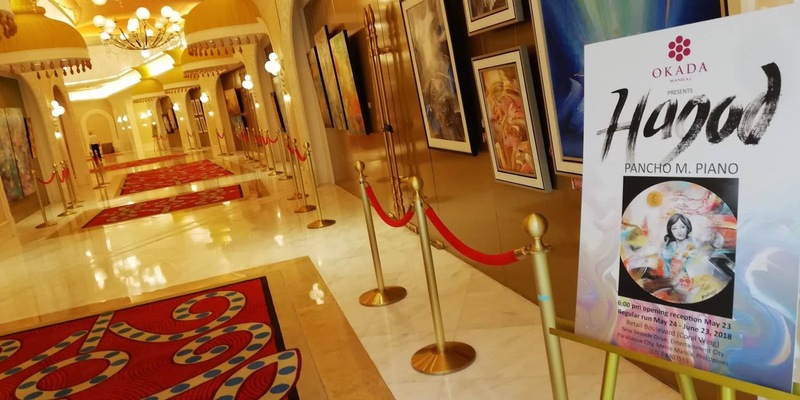 It's not surprising to see that most of the artworks featured at Okada Manila was already tagged as "sold." Pancho Piano is known for his murals and stained glass designs for civic and religious patrons in various cities and municipalities throughout the Bicol Region, such as Naga City, Legazpi City, in Pampanga, Quezon City, Mandaluyong City, Pasig City, Caloocan City, and Mindanao Region; as well as in Japan, Saipan and Palau. 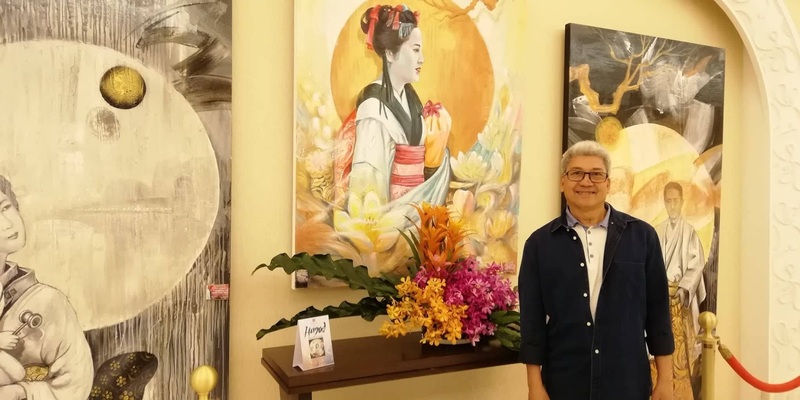 He was commissioned to do the murals at Pinaglabanan Museum in San Juan City, Apolinario Mabini Shrine in Batangas City, Lingayen Church, Philippine Embassy in Brunei Darusasalam and more. 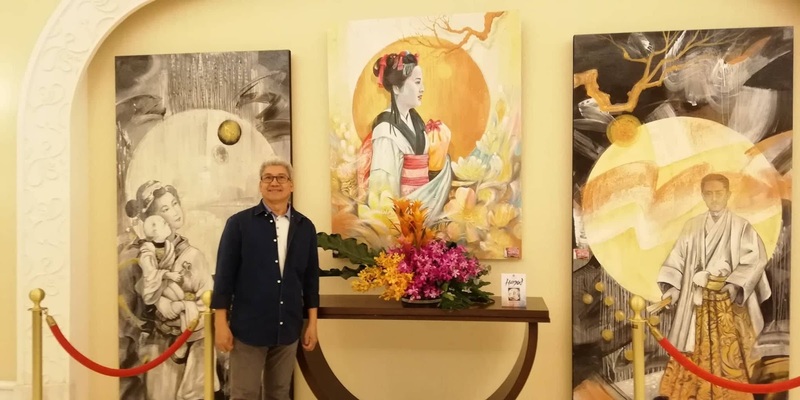 Pancho Piano has mounted 50 solo exhibitions and participated in over 150 group exhibitions in the Philippines, Japan, Saipan, USA, France, Austria, Germany, Belgium, Italy, Switzerland, Brunei Darussalam, Australia, Brastislava, Slovakia, Malaysia and Hawaii. 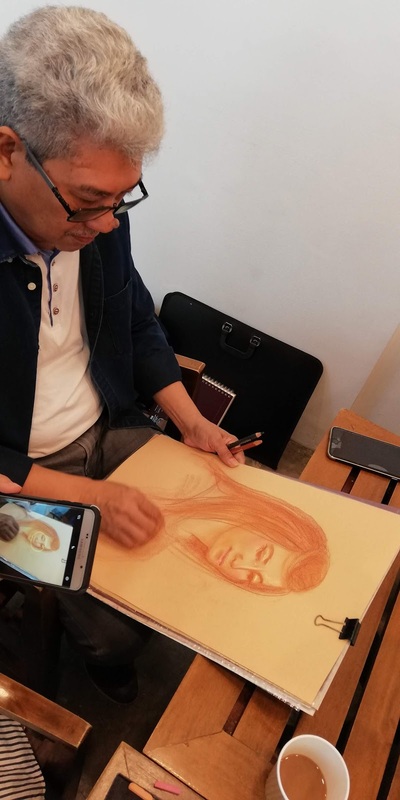 We were able to have a little chit chat with the renowned artist and he revealed that his first ever competition was in his school back in college using just one peso for a cartolina. His entry is a water color made artwork and he bested more than 50 entries and won 5,000 pesos! 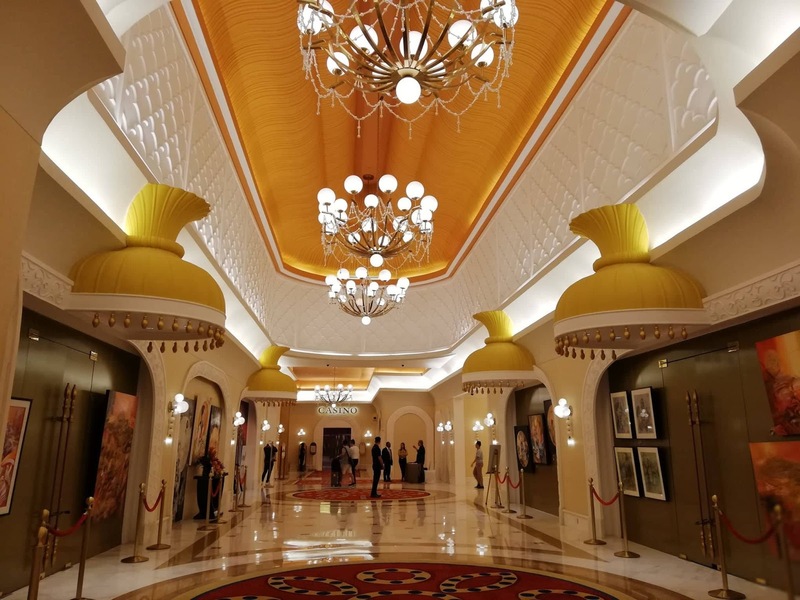 When asked about his favorite artwork he said that its the oil painting of piano made from modified spoon that he made few years back and he never sold it! 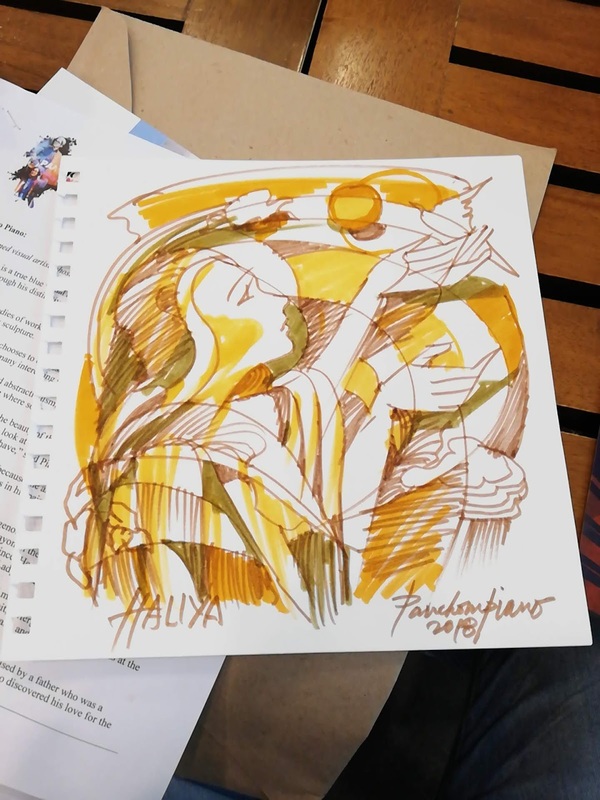 He also show his drawing prowess to us by sketching a fellow blogger, finished after just one song! and the result was amazing! Check out the video above. Luckily, I was one of the lucky three blogger who took home one of his sketches. here is the artwork I took home.